Save the date: Meadowview Biological Station will host a Grand Opening on Saturday, October 11, to celebrate the purchase of the Center for Biodiversity at Joseph Pines Preserve! On August 15, 2014 Meadowview closed on the purchase of the Center for Biodiversity at Joseph Pines Preserve in Sussex County, VA. The purchase was facilitated by a $50,000 grant from the Richmond, VA based Mary Morton Parsons Foundation, donor support, and a mortgage loan from Union First Market Bank in Ruther Glen, VA. The Center for Biodiversity will support restoration and educational efforts at the adjoining 232 acre Joseph Pines Preserve with a rare plant nursery, interactive website, and on-site classes. The preserve is restoring a biologically diverse native Virginia longleaf pine/pitcher plant ecosystem and preventing the extinction of many rare plant populations. 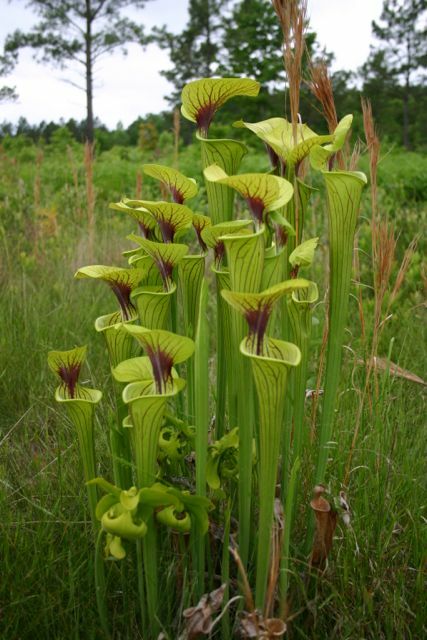 Joseph Pines Preserve is the only nature preserve in Virginia where one can see functional populations of carnivorous pitcher plants in a historically correct environmental setting. The preserve is permanently protected with a conservation easement with the Virginia Dept. of Forestry. The Center for Biodiversity is located at 22515 Cabin Point Rd. in Disputanta, VA and a grand opening is set for October 11, 2014 from 9:00 – 4:00. The grand opening includes tours of the center and preserve, displays of architectural plans for the center, and views of museum artifacts.